Hello April! How did that even happen? The months and weeks really do blur into one when you’re busy, and it’s hard to sometimes get a chance to stop and smell the roses. 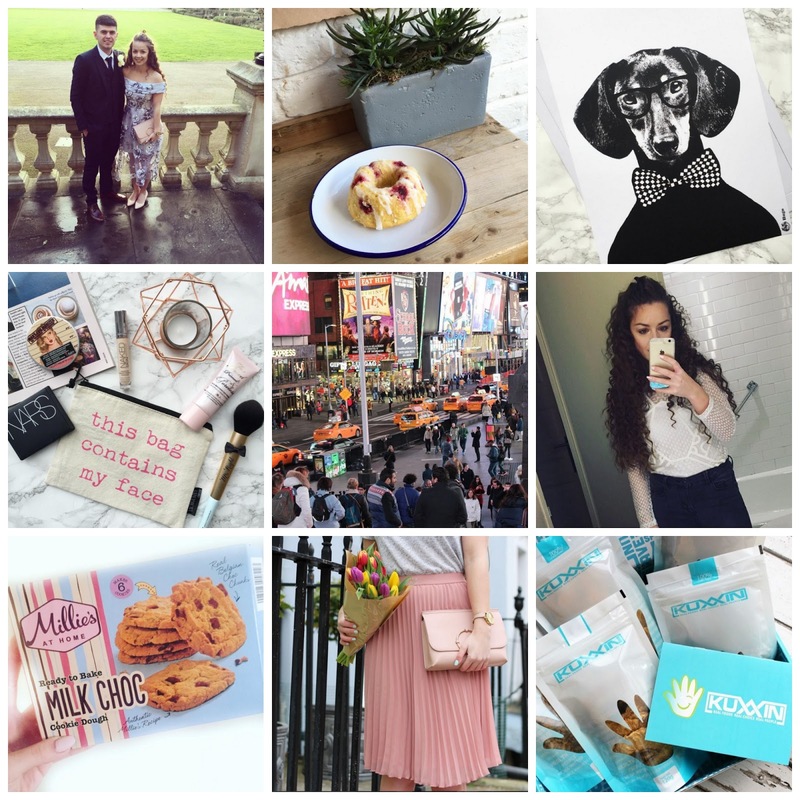 March was a really good, but busy month for me, and whilst I’m still managing to post quite regularly on my blog I would like to be posting more on social media about what I have been getting up to. The truth is I’m just so tired in the week that I sometimes just want to have some down time without having to look at my phone, so whilst I still have been active on that front somewhat I have been having more periods of time without using social media, and I’m feeling so much better for it! So for those interested in what I’ve been up to recently, here’s a quick snapshot at what I’ve been doing over the last couple of months! 1. At the start of March I went to the wedding of my friends from Uni. James was the best man so we got to attend the whole day, the wedding was held in Portsmouth at a church which was followed by the most amazing reception at the Royal Marines Museum. It was such a perfect day and I loved every minute of it, I find that weddings always go so fast though! I absolutely loved my outfit too, the dress was from Asos and it is easily the dreamiest dress I own, I matched it with blush pink accessories which really complemented the grey shades of the dress! 2. I spent Easter weekend in Hitchin with James which was such a lovely relaxing break from work, we headed to Cambridge on one of the days which I thoroughly enjoyed, it’s such a pretty place and as you can expect, a real hit with tourists so it was insanely busy!! For the rest of the weekend we had lots of walks in Hitchin, some shopping and a big roast on Easter Sunday. I always love visiting Hitchin as there is so many cute cafes that I’m yet to try, on Good Friday we tried The Groundworks where I had the most amazing lemon bundt cake, I always think it’s so much better trying independent cafes as opposed to chains like Costa and Starbucks. 3. Many an hour has been wasted on Pinterest, but it’s a place that I find so much inspiration, well for everything! I spotted the most amazing dog print on there a couple of months ago and put out a desperate tweet for anyone who knew who the artist was. Much to my delight I stumbled upon the artist Lisa Bengtsson last week who is from Sweden. Luckily I found Royal Design who ship to the UK at quite reasonable rates. The whole print cost £25 including delivery which I think is pretty good, her monochrome prints are just so dreamy, she does a selection of other dog designs like this depicted in a human like way. I just have to find a suitable frame for it now before I can transform my room into my pinterest worthy dreams! 4. It wasn’t until last month that I posted my first ever flat lay! There’s nothing more attractive than a picture that includes lots of pretty items which have been arranged in a visually appealing way. After reading Fashion Slave’s blog on how to create a marble or wood effect flat lay, I purchased some marble effect paper which I have been using for my recent flat lays – it’s life changing!! For so long I actually thought that I was the minority that didn’t have marble work tops and wooden floorboards, oh how wrong I was! 5. New York happened! I posted about my week in New York last week which I hope you all loved reading! It was undoubtedly one of the best holidays ever, there’s always something happening in New York & it literally is one of the best places on earth! Good food, amazing shopping and so many sights to see! 6. I discovered the chopstick styler from Lee Stafford in February – seriously though, this really is a life changing appliance. I have been meaning to include this in a favourites post for so long now as it is the only styler that makes my hair super curly and which doesn’t drop out of my long hair. It does take a long time to achieve and is probably super damaging to hair if done often, but the effect that it achieves is amazing, it creates such tight Afro like curls that no one would think it wasn’t your natural type of hair. I wore it like this to the wedding and it lasted ALL day, amazing! 7. OMG! Another amazing discovery of 2016, when Lauren tweeted me that this was a thing and I headed straight to Iceland. Millie’s Cookies is definitely up there as one of the best, and whilst I can’t justify a trip to my nearest one in London for a cookie fix, the convenience of Iceland makes things a lot easier for me. They sell both milk chocolate and white chocolate ones and they come pre cut, all you need to do is bake them in the oven. I can confirm that they taste just like the real thing too! 8. I’m trying to curb my spending habit at the moment whilst I’m saving for a house but who could resist this pleated skirt from primark? It is probably one of the best things they have had for a while, and it is an exact dupe of the Topshop one, but which is £20 cheaper. I loved shooting the pictures for this outfit post and I was so happy that I got a regram from Primark on Instagram for it too! Roping my mum in as my resident photographer is paying its dividends! 9. I’ve been on a real health kick over the past few weeks which really helps my overall health, I’ve mentioned a few times before that I have to be careful what sugars and fats I eat. I’ve also recently joined back up to my old gym as it is SO much closer to where I work now which makes sessions in the morning and evening much better. Healthy eating can get boring so I’ve been on the look out for lots of different exciting snacks this month, the Kuxxin healthy subscription box is one of the best discoveries so far, including 5 full sized bags of organic snacks, they really are so good! Some other healthy snack ideas that I’ve been trialling and would definitely recommend are; 3 ingredient healthy cookies, Almond milk, Primal pantry bars and trail mix (I’ve been making a homemade one with nuts, dried fruits and bits of 85% dark chocolate, yum!). That’s it for now – I’ll be sending a round up your way in the near future! What have you been up to lately?